The new INTERCEPT™ cut resistance yarn has been designed to exceed industry standards. This Ansell proprietary technology offers best-in-class cut protection and increased comfort with dexterity. The liner also features ZONZ™ Comfort Fit technology for enhanced fit, higher dexterity and reduced hand fatigue. 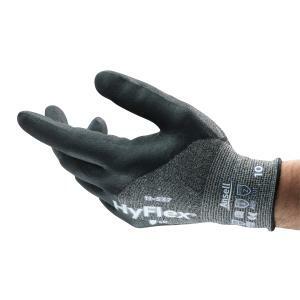 The FORTIX formulation provide enhanced abrasion resistance and grip, which extends gloves’ working life and improves comfort in abrasive applications.